Emes Ve-Emunah: Has Yiddishkeit Become a Spectator Sport? Has Yiddishkeit Become a Spectator Sport? I hate labels. I really do. I’ve mentioned this before. But for those that are not familiar with my view on this subject let me explain it. One might think that just because I label various types of Jews, I am a strong supporter of using them. I am not. I use them as a matter of convenience in order to explain my own Hashkafos in contradistinction to the Hashkafos of others. Labels tend to divide. I would prefer that there be no labels. Hashkafos should not divide us. If I believe in Torah U’Mada and someone else believes in Torah Im Derech Eretz, while yet another person believes in Torah only and still another believes in Chasidus, that should not divide us as a people. Differing world views does not mean we can’t be one people with a variety of paths towards serving God. The only time labels among us should bear any significance is when it involves a break from Halacha and/or the historic traditions of Judaism. If someone has an ideology different from another but is still observant, maintains traditional beliefs and religious values, it should not matter what their Hashkafa is. We should all just be one unified observant Jewish people. Not Charedim. Not Modern Orthodox. Not Chasidim, Not Yeshivish. Not Centrists. Hashkafos should not divide us. But alas, they do. So I deal with them that way. Bearing this in mind, I received an e-mail from a respected Charedi personality who has posted here before anonymously and chooses to remain that way. His views are in concert with what I just said.He finds little meaning in the articles appearing in much of the Frum media that addresses Orthodoxy, its artificial subcategories (e.g. Yeshivish, modern...). He considers them vague and without much concrete definition. He charges that in all cases, they veer strongly away from what honestly matters: Torah and doing all of the 613 Mitzvos. Trimming this prohibits entry. As such the Conservative and Reform movements that do so become almost meaningless. He noted that in the discussions like the one in my last post there tends to be an obsession with the focus on children and youth. Omitted and ignored is what he deems to be a serious, epidemic of adults at risk. The same people that make the shuls in Boro Park, Williamsburg, Flatbush, Crown Heights, Monsey, Monroe, and Lakewood hustle and bustle - with multiple Minyanim, Kiddushim, Simchos, and fund raising events populated by the ostensibly chareidi, yeshivish, and chassidishe adults, we are deluded into believing that there is the ideal of Yiddishkeit brimming over in abundance. This rabbinic personality has experience that allows him to gaze with a bit more of a critical eye than many who are immersed in the religious culture of the above mentioned neighborhoods. Because of his position, he has been the recipient of confidential discussions by participants in those environments about what really goes on among these ostensibly holy families. Without specifying - it involves serious and severe violations of Halacha that are part of an accepted lifestyle. 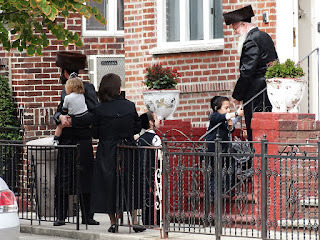 In his view there is a near absence of Yir’as Shomayim and Ahavas Hashem that begins in our G-d free zones in yeshivas and girls’ schools, and continues throughout the lifespan where the ‘Frum’ are focused only on the chitzoniyus. It has become all about appearances. It matters more what someone wears on top of his head than what is inside of it! For so many ‘religious’ Jews, it is all about pursuing pleasures, primary and secondary drives, all of which are plainly narcissistic, and devoid of attention to the Shechina. He therefore finds the Pew statistics and those of similar studies to be irrelevant. The answers do not lie in the numbers. The answers lie in what we do as individuals and communities to make the Shechina dwell among us. With attention on everything else, there is so much diversion that God really gets knocked low on the list of priorities. There is a Rav in Boro Park who has a framed sign in Yiddish that asks ‘Voss Zugt Gut? (What does God say?) He takes it seriously. But he is lost among the masses that are busy with trivia like hair length, socks and shoes, glasses frames, the number of sections on a yarmulke, and such criteria that are used to accept or reject kids from yeshivas. The obsession with discipline in chinuch is pathological, and makes the experience of going to school and yeshiva a contest. The individual attention to each student to help him learn to love Torah and Mitzvos is claimed at their annual dinners, but the dishonesty in that is known to all parents. 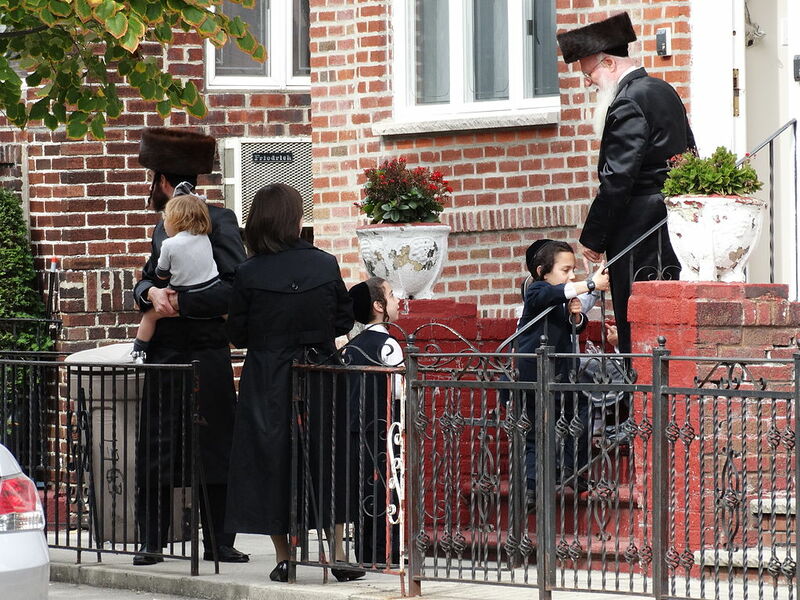 So before we worry about whether Modern Orthodox Jews are really Orthodox, let us first look at those who filter NYC water, follow strict halachos about chodosh/yoshon, spend fortunes on their esrogim, and wear the most holy forms of malbush: Are they truly Orthodox? Do they really believe, or are they just monkeys performing because they are being watched by their neighbors?